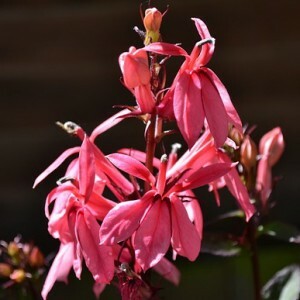 Lobelia is a sort from the family of Campanulaceae, uniting more than 400 species of plants. There are registered both one-year, and long-term, both leaf-losing, and evergreen, both grassy, and semi-bushes, and bushes, and even trees. They are widespread practically in all parts of the world (except Antarctica): in subtropical belts, in zones with a temperate climate. About 2 tens types are cultivated — by it, mainly, their decorative effect which is defined by beautiful flowers helped to make this "career". In the countries with a temperate climate Lobelia garden is cultivated more often as an annual plant.